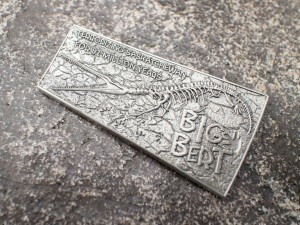 ← Where Did Everyone Come From? 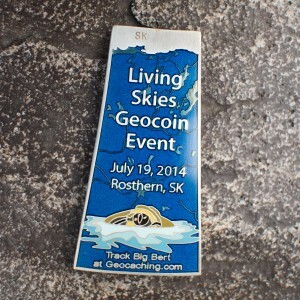 Now that the event has passed, everyone has seen most of the coins up close. 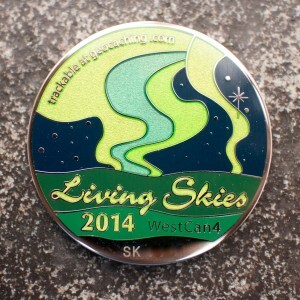 We finally had a moment to take some closeup pictures of the coins for all to see. 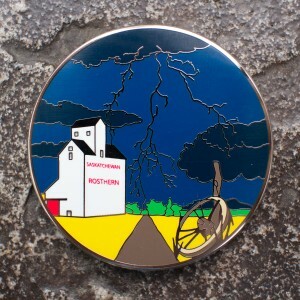 This will also assist those who may be wondering which coin is which. 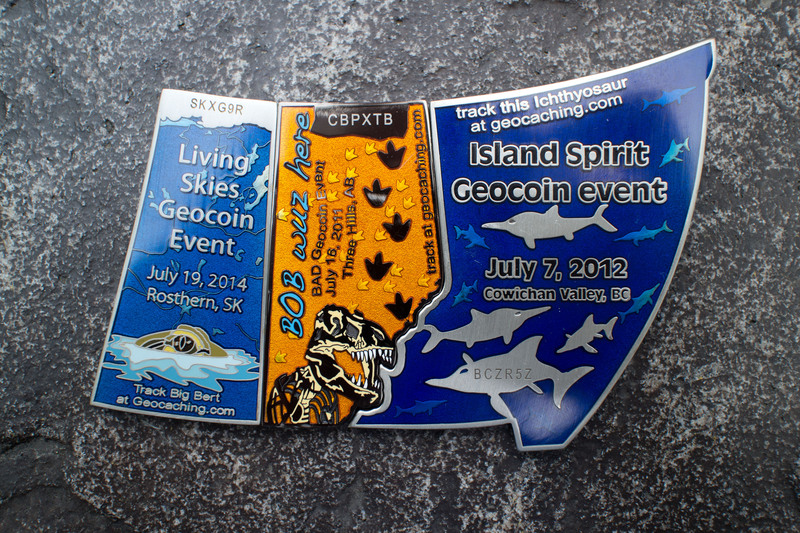 Due to the unexpected high demand for the geocoins, we are happy to let you know that Landsharkz will be reminting additional Regular Edition and “Big Bert” Geocoin Event coins. 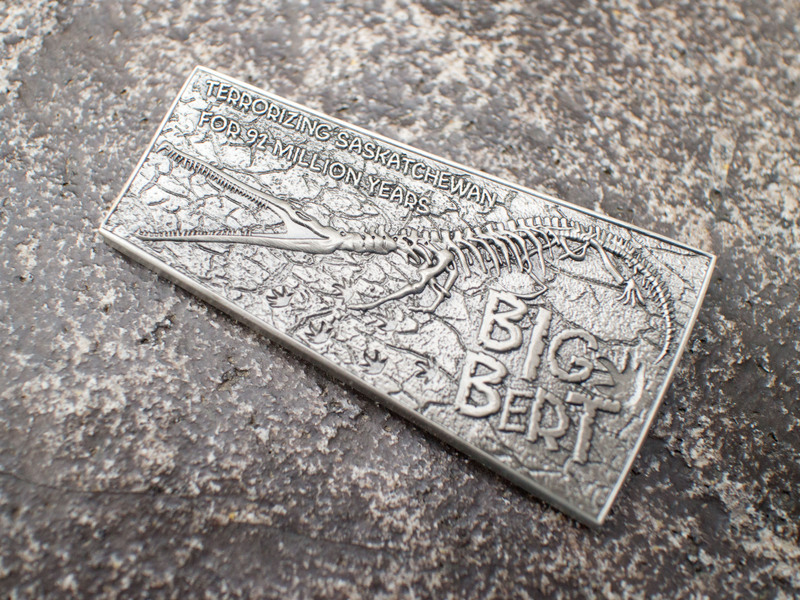 They will be available for purchase directly via their website in a few weeks. Watch the Landsharkz website for availability, or contact them directly to indicate your interest. 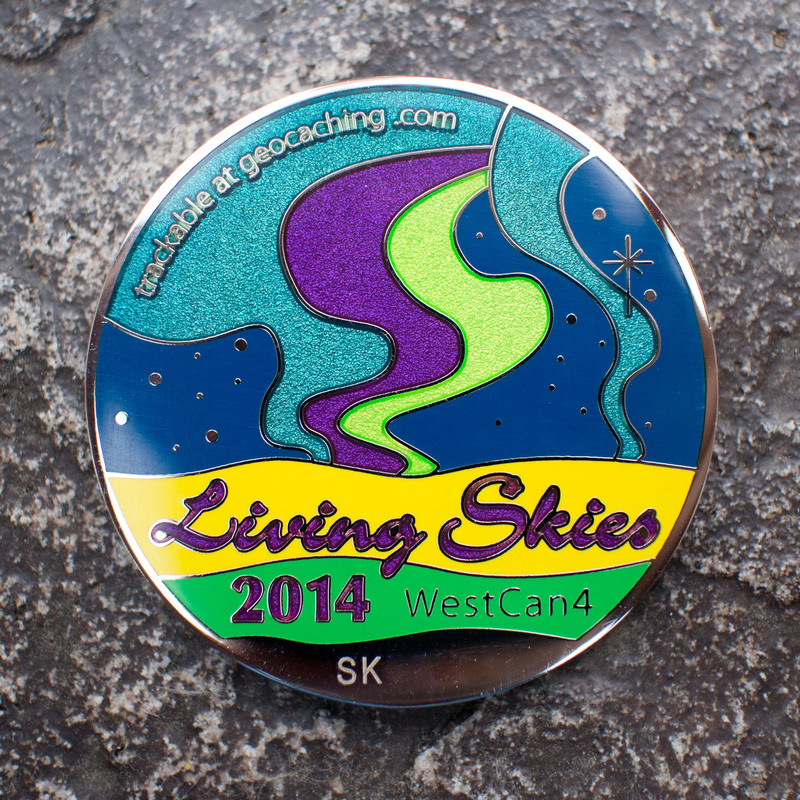 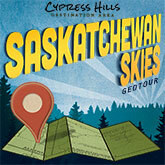 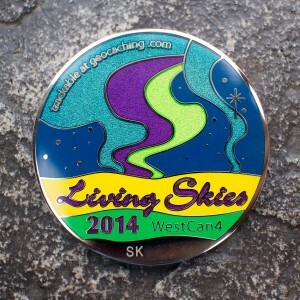 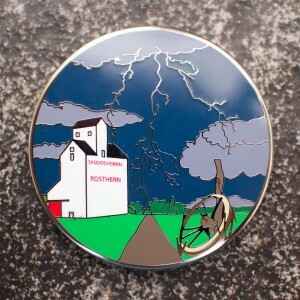 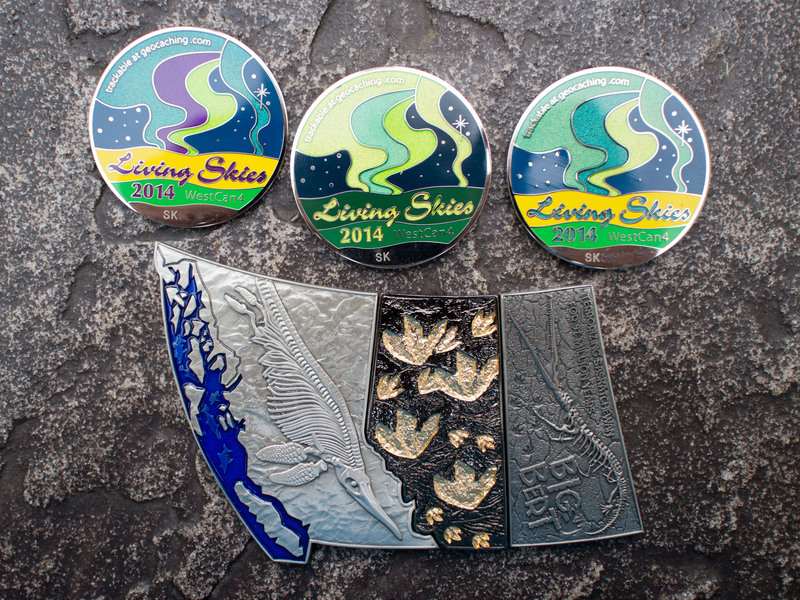 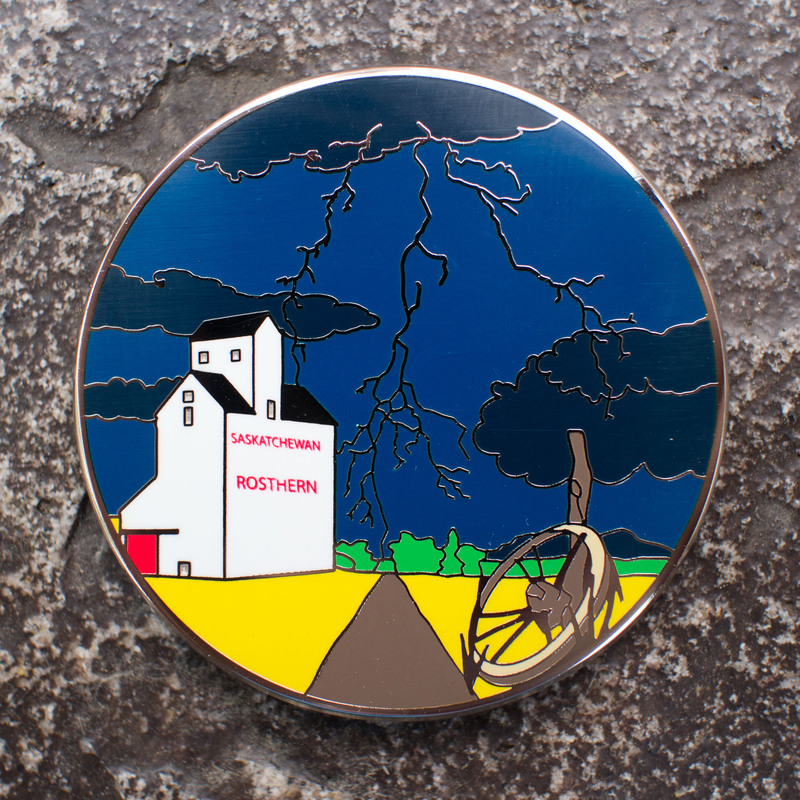 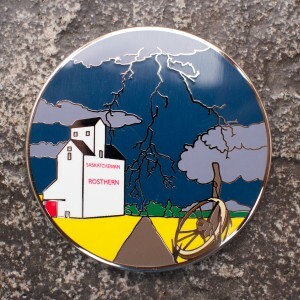 The only way to acquire a Living Skies 2014 “Special Edition” Geocoin now, is to find at least 45 caches of the Prairie Storms Adventure Trail across southern Saskatchewan. 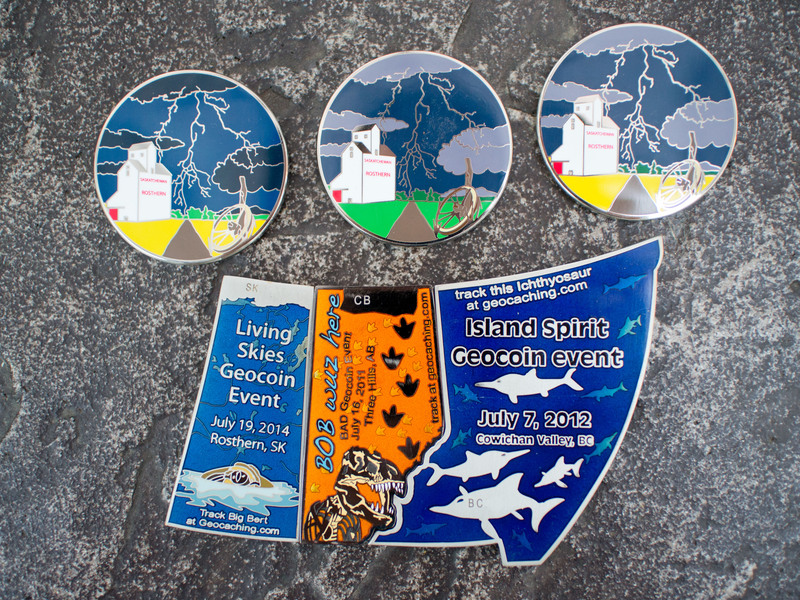 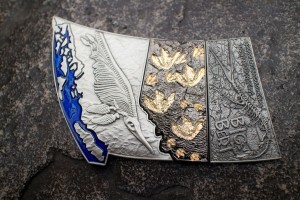 The complete set, showing all three geocoin event coins interlocked. 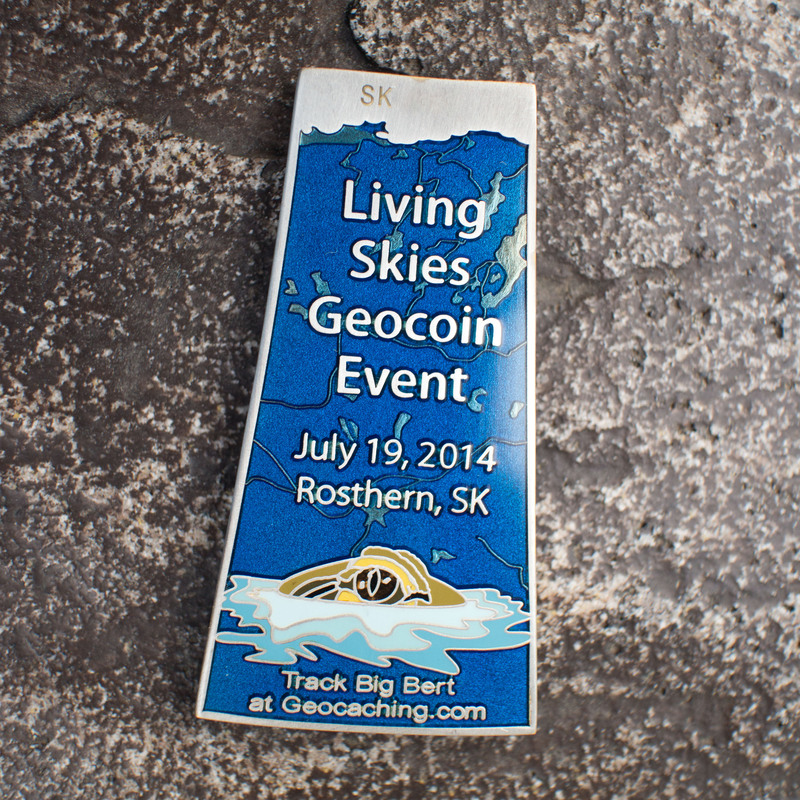 This entry was posted in Announcements, Satellite Events. Bookmark the permalink. 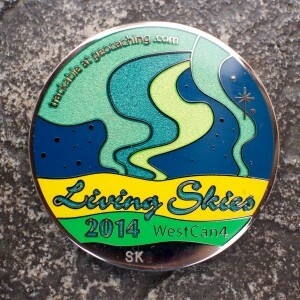 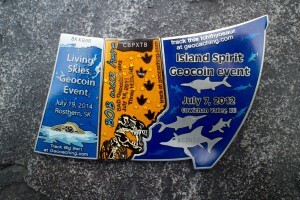 We now have the Living Skies event coin in the regular version and the Big Bert coin for sale on http://www.landsharkz.ca. 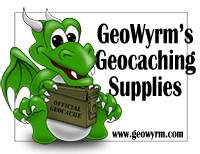 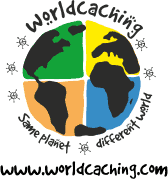 There are links to both products from our home page. 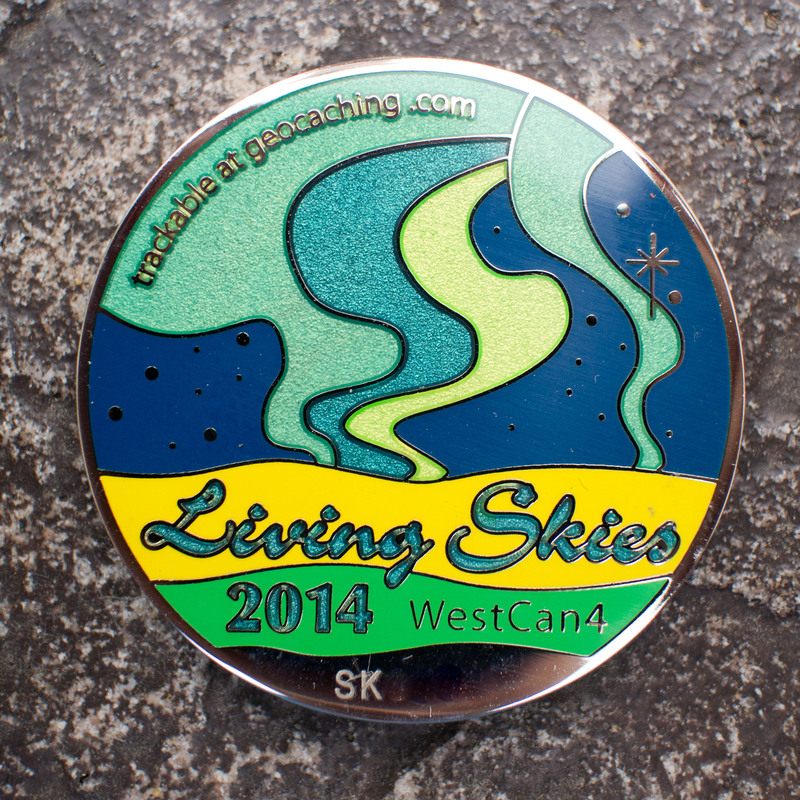 We have ‘limited quantities’ so please don’t want if you want either/both of these coins!